These are only some of the real testimonials from real sellers. 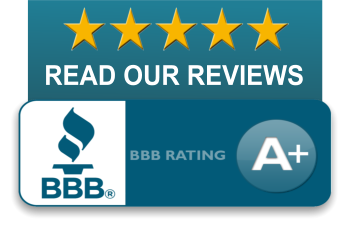 *  9/17   Jeff was very knowledgeable about the entire process and did everything he could to make things easy for me. He always responded to my emails promptly, and gave great advice on how to handle the multiple offers I received. I used him as a full service agent and would use him again to sell a home. We are planning to use the $8000 we saved to add a nice patio/outdoor space to our new home. 4.22.15 Jeff provides a great service which saved my almost $5,000. It was a huge pleasure to work with him. He provided all important services of a sellers agent with his full realtor service. He responded very promptly to emails, gave advice on staging the house, his site has great outlines on the selling process, and he guided me through offers and negotiations. I can’t see myself using anyone else for any future sales. Randy Sanbor, Midland. I am very satisfied with services you provided. Actually, I also have two other rental properties that I will use your listing service in the future. We will definitely keep in touch!! Below is my testimonial: Jeff's Flat Fee MLS program really works! We recevied multiple offers within the first week of listing and sold the house within 45 days. Jeff understands seller's needs and walked us through every step of the transaction. Thank you!! To Whom it may concern:My condo in Troy, Michigan was listed with Kermath Realty’s Direct Listing Service. It was my privilege to work with Jeff Kermath as I have worked with many real estate agents in my journey and I found Jeff was exceptionally efficient and vigilant. Jeff is a wealth of knowledge of the real estate market of Michigan and was able to answer questions and advise wisely. All the emails were promptly answered, most of them within minutes, and even late night emails were answered first thing in the morning.I can tell that Jeff puts effort for his clients and was able to keep up with me and my demands as he accommodated me in many ways. I was left with the feeling of trust and contentment as this deal was completed in a very efficient and organized manner (my condo was closed within TWO WEEKS after receiving the offer!). Additionally, I live in Texas, the property was in Michigan and the buyer was from Florida, Jeff's involvement was instrumental to a successful remote closing. If you are looking for a direct listing service, Jeff Kermath is THE BEST! * We had our house on the market with a seller's agent for a year before we decided to try to sell by ourselves. The limited listing service was perfect for what we were looking for. With Jeff's help, we were able to have our house listed in the MLS allowing it to be found on major websites (realtor.com, etc.). We were able to manage the showings, directly communicate with realtors, and communicate regarding the price/showings with Jeff which resulted in a successful sale our home. Jeff was very helpful with the process and even replied to emails at 3 am! Because we did not have to pay commission to a seller's agent, we were able to lower the asking price and ultimately take home a greater profit at closing. We would highly recommend Jeff's service to any sellers! We have use Jeff's listing services as a seller twice now and would always use him for selling in the future. The last two homes we've sold through Jeff's MLS listing were sold very quickly and saved us over $20,000+ in sellers commission. Jeff was always very helpful and very quick to respond. Communication is the key for real estate and Jeff was better than any full service realtor we've every had. We plan on using Jeff as a buyer's agent in the near future as well. Thanks Jeff!!! I am writing to thank you for your incredible service. I listed my house with you using your flat rate service. As you know, my house was listed on a Friday and I had an offer by Sunday. The best part was that I saved $14,000 in commission by not having a traditional agent. You made selling my home quick, convenient and hassle free. I have already recommended your service to three of my friends. We have bought and sold five homes in our life time. Two we sold were listed through realtors, two we sold by owner, and one we sold with the help of Kermath Realty. Jeff Kermath’s program was a perfect blend of the two approaches. He provides the guidance needed to make you feel comfortable about taking the lead in selling your own home. He was quick to answer any and all questions during the listing, showing and up to and including closing. We were much more comfortable selling with his guidance then the two times we sold by owner without professional help. We saved over $10,000 by only paying a flat fee to the Jeff. An offer was written on our home two days before Christmas and Jeff was out of the state on a family vacation. He still found the time to answer our voicemails and emails to keep the offer and counter offer moving along. We highly recommend exploring Jeff Kermath’s assisted sales programs and save tens of thousands of your hard earned capital. $42,000.00! Let me say that again people!!! I'll tell you! A real estate agent that we work closely with wanted to list this property for $ 1,000,000.00. We thought we could get much more for it. We had Jeff list the property instead. In the end we sold it for $1,400,000.00. We pocketed $400,000 more than what our other agent would have gotten for us plus the commission that we would have lost in the process. I just wanted you to know that I was bragging about your service to some of my colleagues at work and two of them asked me for your website info. I have a feeling you will have some new business soon. Thank you again for your help. Happy Holidays. Working with Jeff on the sale of our home saved us about $7500! We have already referred him to friends and will continue to refer him. He was very professional and answered our emails and calls promplty. The closing process was smooth and we couldn't have asked for a better money saving experience! Hi Jeff, I just wanted to let you know how happy I am with the flat rate service you have. It was very easy to use, inexpensive, and I sold my house the first week on the market ! I like that it went through your Reality company, and the phone calls came directly to me. You were very professional, and helped me every step of the way. I have recommended your service to a lot of my friends. Thanks for everything, I would definitely use your service again. I used “flat-fee” Jeff Kermath to sell my 2 homes here in southeast Michigan, one my primary residence and one my vacation home. And since I was staying in southeast Michigan I was also able to use him as well to buy my new home, saving 1.5% off the normal commission for a buyer’s agent. Jeff saved me over $38400 total over the usual real estate commissions charged by other agents. And this was direct savings into my pocket! Jeff was there to help whenever needed through the process and will become as involved as you need him to be. The listing process is simple and I even sold my vacation home for more than its appraised value with Jeff’s flat fee listing. In addition I had an acceptable offer on my primary home within 72 hours of my listing hitting the MLS. If you want the same service at a fraction of the cost and want to save real money, use Kermath Realty. Thanks Jeff, with the housing prices the way they are, we would not have been able to afford putting our house on the market and selling, without the help of a service such as yours. We would and have recommend you to others. Jeff made selling our house very easy. We saved thousands by using Jeff. He kept in constant contact with us during the entire selling process. If you're thinking of selling your home, Jeff is a great way to go. Jeff is great. I just closed on selling my house yesterday and his is a extraordinary helper. Selling a house first time is a stressful thing as I knew nothing about the process. I signed up a contract with a full service realtor locally without much luck. After the 6 month the contract end, I signed up with Jeff. I was not expecting too much from him at the beginning because his program on the internet is so economical. I thought all he would do for us was to put my house on mls listing. I was surprised later. When I got an offer from a buyer, I contacted with him. There were a lot of difficulties during the deal with the buyer. He is always quick to return a phone call or e-mail and he has gone above and beyond for us in so many ways when there was nothing in it for him. He is so professional , knowledge and dedicated. His knowledge in real estate market and housing financial is second to no none. Working with Jeff to sell my house was an absolute pleasure. I would highly recommend Jeff's service to anyone looking for an excellent Realtor. You can save a lot money on commission by going with him. Jeff made selling my house easy! Thank you Jeff! I saved money and he made the whole process go smoothly. I told you this morning about the quick success I had after getting on the MLS. After trying the 5-day sale method and getting a top bid of $85,000 I decided to list with Jeff Kermath, an MLS only broker out of the SE MI area (http:/kermathrealty.com/). His service is $199 - $489 to list on the MLS. I had two offers in 24 hours and accepted one this evening for $101,000. I basically did about 1 hour of work and will net probably $10,000 more and saved $3,000-$3,500 in fees. I highly recommend going this way when you sell your house. Jeff will be there to answer your questions too. Selling your home can be more affordable by using Kermath Realty. We were able to sell our home in September of 2012 and in a depressed market with the help of Jeff Kermath. There were no hidden fees ,one price for us the until home is sold option was are wise choice. The home market can move slow and you save money in the long run. Jeff is there to answer any question or questions with a quick response. All the closing ( which was our biggest fear ) was walked through, faxed and finalized easier than we imagined. Your not selling your own home, your controling the process and saving realtor fees. This was a good investment for our family. I would highly recommend the Flat Fee service provided by Jeff Kermath of Kermath Realty. The service and options were clearly stated on Jeff's website and all transactions were handled in a professional manner. The follow-up from Jeff helped us stay on track from initial offer thru closing." The Flat Fee MLS listing and services package offered by Jeff Kermath is the greatest thing since the internet. It saved me more than $12,000, and I sold my house by using the Kermath package within two days. And the price was considerably over my list price. I bought his Deluxe MLS package which includes a 12-mont MLS listing, 25 photos and an automatic feed to Trulia, Zillow, Realtor.com, etc. I had more than 50 inquiries and a hundred people at my first and only open house. The access to MLS is key – it's a cheap entry to the real estate brokers' "club". Kermath's package also includes a sign, a lockbox and access to contracts, forms and helpful articles. And most priceless of all, Jeff is very responsive in providing expert advice in answering any newbie questions about how to sell your house without a listing broker. My experience with using Kermath Realty LLC and Jeff Kermath for listing my home was exceptional. Just a note that Judy and I were very pleased with your service in the selling of our house. We never felt that we did not have a veteran Real Estate professional in our corner. When we have been asked a dozen times "How did yo sell your House so fast?'. We refer them to Kermath Realty and Mr. Jeff Kermath. "Kermath Realty , Jeff Kermath, and Listfor98.com are the BEST way to sell your house in Michigan. We needed to sell fast and for a fraction of the cost we'd pay for an agent I learned more about the real estate business than I ever imagined and sold and closed within four months. Jeff's expertise is worth every penny and probably more." "A changing world needs a changing real estate model where everyone can win (including the customer). Jeff Kermath's service and the Kermath approach to real estate sales helped make that happen for us. We sold our house, closed within a month and saved well over $11,000! That helps in a challenging economy.
" Thank you, Jeff and Kermath Realty for your Exceptional Flat Fee Program! As promised, your program offered everything I needed to effectively sell my home. I saved over $10,000 using AmeriSell! I will definitely recommend Amerisell to my friends! There is absolutely "NO" reason to pay a listing agent commission!!!! Kermath Realty is the ONLY way to sell your home people! TRUST US! We sold our house in just FOUR days using Amerisell's Flat Fee Listing and actually had two offers in that short amount of time - this after we had it listed last summer with a realtor for 3 mos and had no offers. "Kermath Realty was a great option for us. We actually had more showings with Amerisell on our home than we did when we were listed with a realtor. The accu-show feature was especially helpful in that we could access the feedback from showings of our home from the computer. We highly recommend Kermath Realty . Kermath Realty listed my home in Ann Arbor and we had two full price offers within 10 days of going into the MLS! We also had 2 other parties ready to make an offer if the others didn't work out! 10 days in normally not a surprise in our neighborhood but in the summer of 2006 I have seen more for sale signs in yards than in the last 10 years and it seems the signs are in the yards for many months, some even as long as 1.5 years. Thank you for saving us thousands, it works! 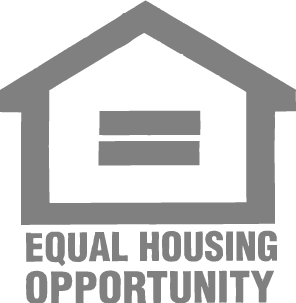 "Kermath Realty is the answer for all of us who ask the same questions to the people who are trying to take control of your hard earned equity...can I do it and how much will it cost me? With AmeriSell Realty the answer is yes, you can do it and you will pay a lot less than high commission realty firms. Jeff Kermath and my friends at Kermath Realtyare real estate professionals who understand the value of successful individuals taking control of their own financial decisions. I sold my place in less than a month and with the equity I saved...see you on the beaches!"